One of the most interesting aspects of the hub gathering was the fact that it brought together a truly global range of hubs, incubators, labs and accelerators. As development agencies and the private sector increasingly look towards start-ups, entrepreneurs and hubs, the work of coordination bodies and umbrella organisations becomes ever more important. In Africa, Indigo grantee AfriLabs is working to bring together hubs from across the continent to share lessons and insights. 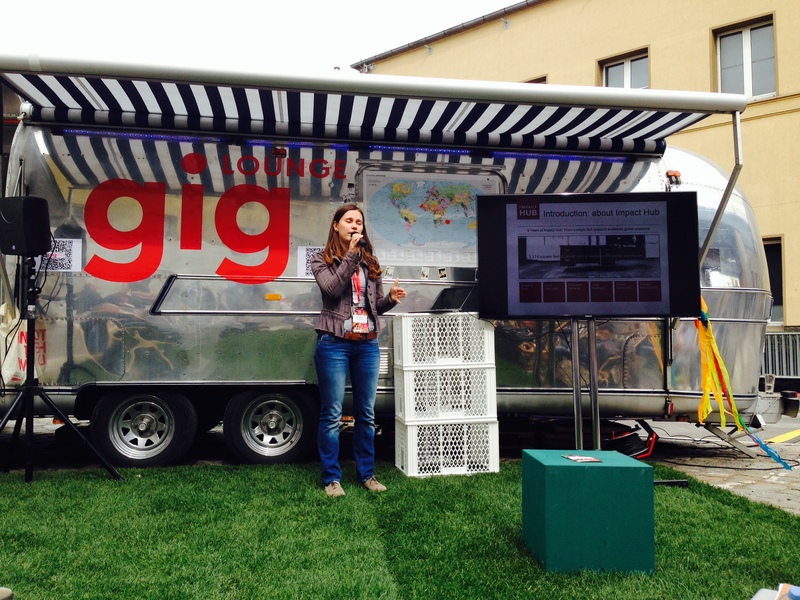 At a global level, the Impact Hub Network is working with hubs and labs from Berlin to Bogota to discuss common challenges and ways around them. It’s both refreshing and depressing that hubs the world over are grappling with many of the same issues. In Greece, the Impact Hub Athens is trying to promote entrepreneurship and a start-up culture as one way of escaping recession, unemployment and a lack of opportunity. Yet like many of the countries that we fund in, the hub faces several familiar problems: cashflow, failure of government to deliver on promises, the lack of a wider support system, doubts over business models and membership fees, skills gaps and, of course, funding. The similarity of challenges confronting hubs gives some hope that greater coordination and knowledge sharing might lead to sustainable solutions that can be adopted globally, while taking into account local dynamics and other factors. In the rush to support more innovation and diversification of hubs, some at re:publica questioned whether the time had come to take a step back and look at what hubs had achieved and where they were weak. Rather than fostering more innovation spaces and developing new hubs, perhaps the funding community should look to consolidating the existing network and supporting them before looking for new hubs and more locations for investment. It’s a sound argument worthy of consideration and, yes, consolidation is important and providing existing hubs with sustainable funding remains a priority. Equally, however, the fact that a country or city already has a hub doesn’t automatically mean that it shouldn’t have a second or a third. Within the hub/lab/incubation/accelerator space there needs to be room for different approaches, alternative models and some healthy competition. Figuring out what works requires a flexible approach and, sometimes, that means backing things that are a bit of a risk. For now, consolidation + new opportunities looks like the best way forward – it’s perhaps a little too early to shut the doors to the newcomers. M-Pesa is annoying: Not my words, but the reported sentiment of several Kenyan techies. For anyone with even a passing interest in technology in Africa, the Kenyan mobile money transfer service, M-Pesa, will be a familiar name. It’s enjoyed spectacular success there, but that doesn’t mean that Kenya’s tech industry will be creating equally successful products anytime soon. The reason? M-Pesa’s development was supported by a multinational company with deep pockets and the know-how to get the thing made and marketed. Pulling off another M-Pesa would be a tall order for small start-ups and tech entrepreneurs. 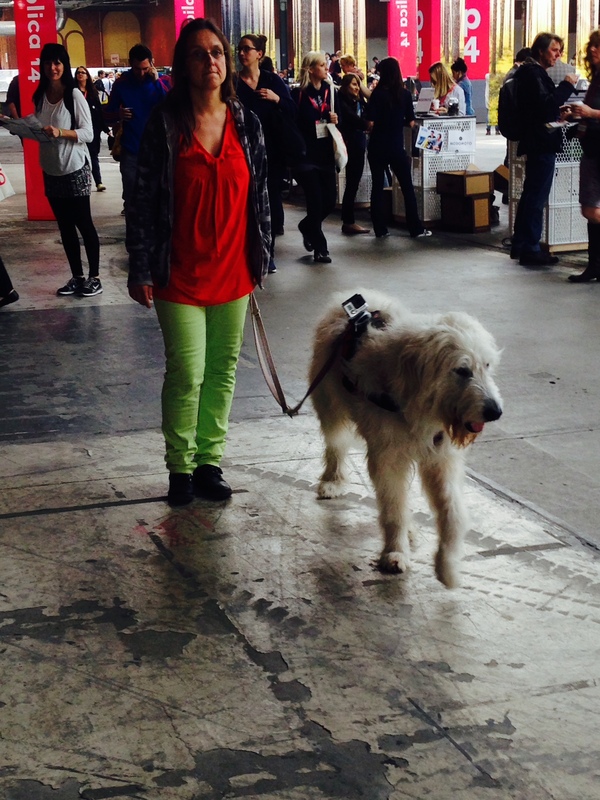 An enormous hound with a camera strapped to his back takes a tour around the conference venue. Why wouldn’t he? Cross-stitching may become my new hobby: One of the more interesting sessions I attended was on craftivism (crafts + activism). The idea is to use crafts like cross-stitch or knitting for activist purposes. Not only to crafts give people time to reflect about what is important to them and what matters, they also make activism more accessible to those who don’t feel sufficiently confident to carry placards, take part in marches or attend activist meetings. The silent revolution: In one of the more unlikely sessions of a tech conference, art historian and lecturer, Harald Klinke, outlined how the digital image is bringing about a silent revolution in how we think about and use images. Just like the development of oil painting and the invention of photography, the digital image is transforming the way we live. It is allowing us to build a 3D image of the world around us, rather than a 2D representation of it. The development of the touchscreen is moving images beyond things that we merely observe to something that we interact with – something to touch, swipe and tap. More than ever before, we’re surrounded by images. Websites, apps, social networks are all littered with images, while the proliferation of digital cameras and smartphones allows each and every one of us to produce more images than at any time previously. And each of those images is studded with rich data – colours, times, depths, distances. We’re still working out the practical implications of this ‘big image data’, so it’s an interesting trend to track over the next few years. Ethics matter: Alright, this is hardly breaking news (Plato was talking about it ‘a few years ago’), but in many of the sessions data ethics took centre stage. With distrust of big tech companies, not to mention intelligence agencies, at an all-time high, this isn’t perhaps all that surprising. From London to Ethiopia, conference attendees and speakers repeatedly emphasised the importance of ethics and morality in technology. We can’t look to technology to solve our ethical qualms and dilemmas – instead, we need to recognise that humans control, design and (mis)use technology. If we want big image data, for example, to be used responsibly then it’s our responsibility to make that happen. Similarly, if we want to ensure that social network analysis and mathematical modelling of London’s riots aren’t used to clamp down on legitimate protest, then we need to make that clear. Drawing boundaries and ensuring that lines aren’t crossed is critical if technology is to deliver on its many promises. For lots more videos and content, see the re:publica Youtube page and you’ll be sure to find something worth watching.